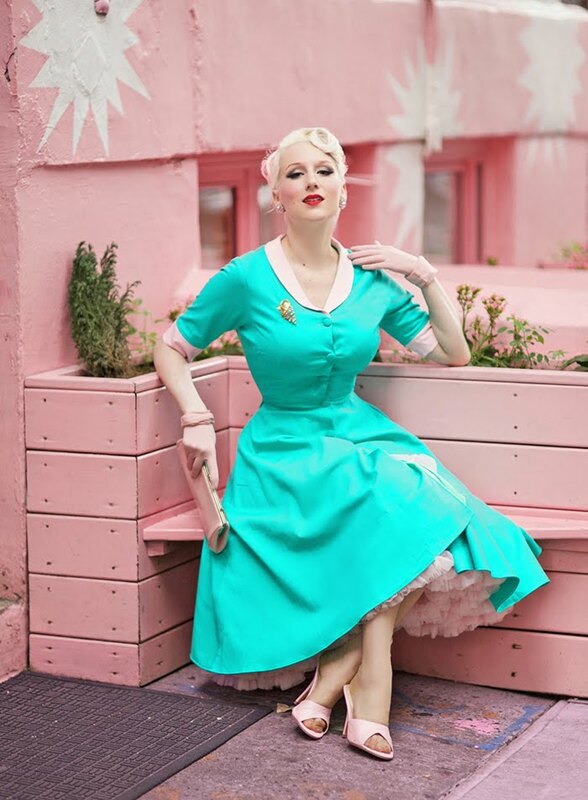 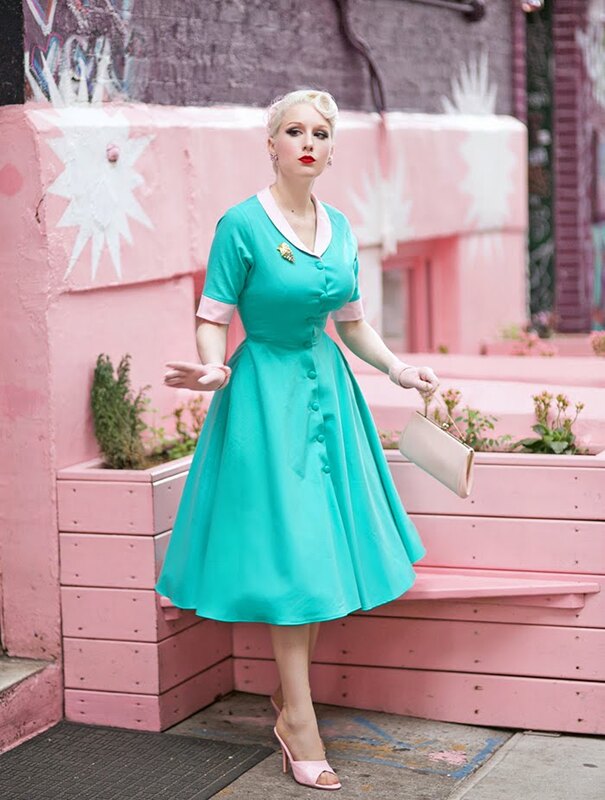 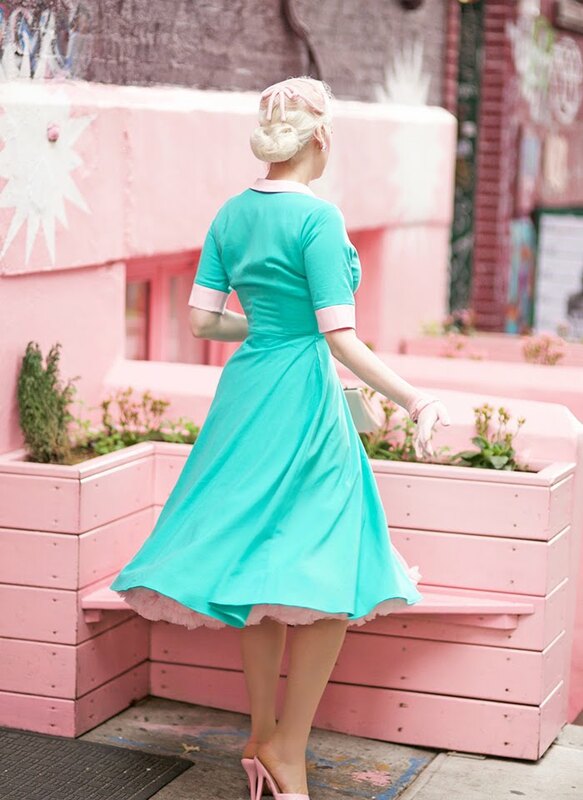 It's nostalgia in Nolita with midcentury pastels, petticoats & cat-eyes! 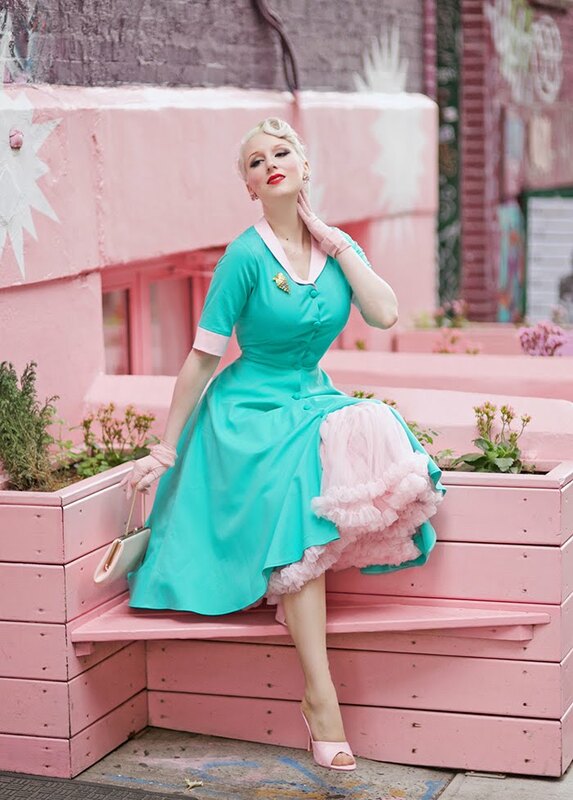 Heart My Closet designs the most original vintage-inspired frocks, and I've had so much fun with diner-like pieces like today's button up dress. 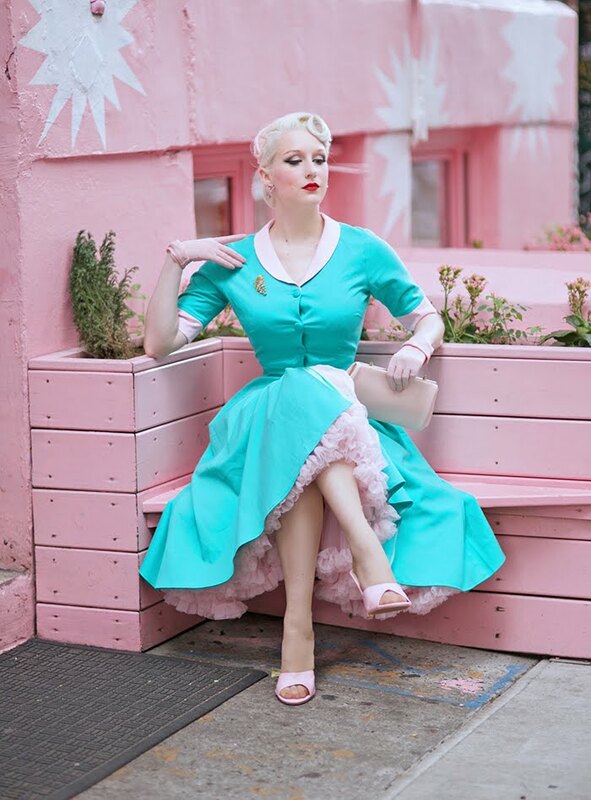 Pietro NoLita made an adorable retro backdrop, and one of my favorite bagel shops is right next door!